Midnight's Mask (****) brings the series to a successful conclusion, making the trilogy well worth the effort of checking out. The novel is available now in the UK and USA and also as part of the Erevis Cale Omnibus (UK, USA). Steven Erikson has reported that he has completed The Forge of Darkness, the first novel of the Kharkanas Trilogy. 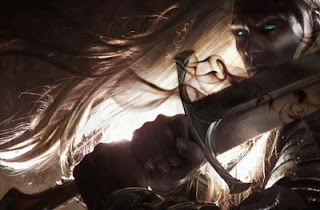 Erikson's new book is set several hundred thousand years before the events of the main Malazan sequence and expands on the Tiste Andii and events in the city of Kharkanas (which appears, in a deserted state, in the main series novels). Anomander Rake is expected to feature heavily. Erikson reports that the novel has come in at 292,000 words, noting that (ironically) this is 'short' by his standards. It falls between the length of Deadhouse Gates (272,000 words or over 900 pages in paperback) and House of Chains (306,000, or over 1,000 pages). 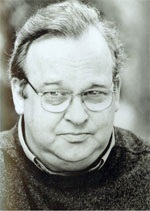 No publication date has been set for the novel, but it is likely to appear before the end of 2012. Meanwhile, Erikson's collaborator Ian Cameron Esslemont's latest Malazan novel, Orb, Sceptre, Throne, is due for publication in January 2012. The Wild Cards superhero anthology series - co-created by George R.R. Martin and Melinda Snodgrass in 1987 and featuring numerous talented SFF writers - has been optioned as a 'modest-budgeted' film project by SyFy Movies, the newly-established film arm of the SyFy Channel. In the Wild Cards universe, an alien virus infects Earth in 1946. 90% of humans are unaffected, 9% are turned into mutated monsters and cretins (known as Jokers) and 1% become superhumans, capable of amazing feats (Aces). The Wild Cards series - currently consisting of 22 books - charts an alternate history of the world over the course of decades, reflecting the appearance of the Jokers and Aces. The movie project will feature a contemporary setting, though whether the film will feature a modern origin story for the Wild Cards mileu or will simply slot into the pre-existing continuity is unclear. So far, only the option has been announced and the project faces many hurdles before it gets to the big screen. 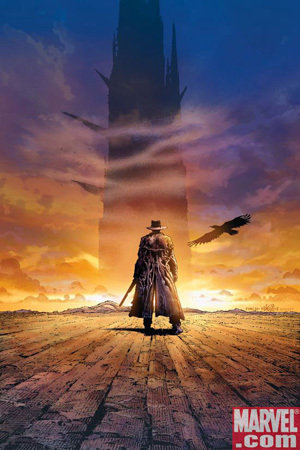 HBO has stepped up to the plate and picked up the Dark Tower TV project. The extremely ambitious adaptation of Stephen King's seven-volume novel series consists of a TV series and several interlinked theatrical movies. HBO has taken on the TV leg of the project, whilst producers Ron Howard and Brian Grazer have reduced the budget of the first movie by $45 million, apparently making the project viable again. Javier Bardem remains attached to the role of Roland Deschain. Good news. This project sounded insanely ambitious, perhaps even unrealistically so, but cool that it seems to be back on the drawing board. HBO also seem to be continuing their foray into the fantastical, adding The Dark Tower to a fantasy line-up now consisting of True Blood, Game of Thrones and the forthcoming American Gods. As you may have noticed, new posts have been much less frequent recently. This is due to me getting a new job, which is great but also demanding in time. So, for the forseeable future, it's likely that my blogging frequency will be reduced compared to what it was before, though I'll try to keep up with the news and reviews as much as possible. 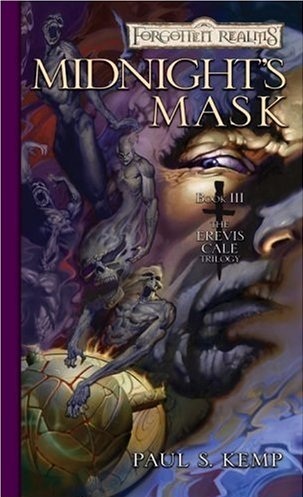 Currently reading: Midnight's Mask by Paul S. Kemp. Currently watching: Merlin Season 4. Currently playing: Deus Ex: Human Revolution. Thousands of years ago - and apparently without anyone noticing - the Decepticons placed a device inside the Great Pyramid of Giza that can blow up the Sun and harvest it for energon, which they can use to fuel themselves and possibly restore their dying homeworld of Cybertron. The Fallen - the Decepticons' supreme commander, senior even to Megatron - wants to activate the device, but he fears setting foot on Earth due to the threat posed by Optimus Prime (apparently only 'a Prime' can kill him). Also, the device's starting key, the 'Matrix of Leadership', has been missing for millennia. The Autobots and their human allies end up getting involved in the Decepticon plan to find the key and start the machine and the whole matter is resolved in a string of unlikely plot coincidences and stupendous explosions (spoiler: the good guys win). 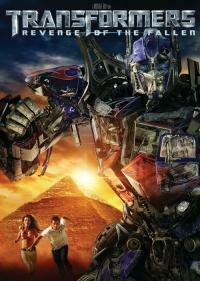 What confuses the matter is Michael Bay's total inability to selectively self-edit. The problem with Revenge of the Fallen - aside from those inherent to the franchise established in the opening movie which it is far too late to do anything about - isn't that the ingredients are wrong or that you couldn't make an entertaining movie with them, but that Bay and the writers throw every single half-baked idea they have into the mix, regardless of whether it makes sense or if they have the screentime to do it justice. In isolation, ideas like Devastator (a massive robot made up of seven lesser ones), the Pretender (a Terminator-esque Decepticon assassin that can pass as human) or Jetfire (an elderly Decepticon who switched sides to join the Autobots, got bored with the war and has spent decades disguised as an exhibit in the Smithsonian) could have made for interesting scenes or story points. Thrown on top of one another, they decohere the story and make it increasingly hard work to follow what's going on amidst the ridiculous number of fireballs being hurled around. Matters aren't helped by the human cast: Shia LeBouf was blandly inoffensive in the first movie, but doesn't have the acting chops to sell Sam Witwicky's plot-inspired descent into temporary insanity, which reduces the middle third of the movie into barely-bearable tedium, though things are briefly livened up by the arrival of the Pretender assassin, a cool idea which is underdeveloped. In fact, most of the human performances are uninspired and uninteresting. There's also a bizarre lack of emotional response to events in the film. At one point a US aircraft carrier is destroyed and sinks, taking with it thousands of lives and an appreciable fraction of the USA's military power, but this garners almost no response whatsoever from anyone. No-one seems to be particularly concerned about the partial destruction of the Great Pyramid of Giza, either. The Transformers themselves also suffer from the problems of plot overload. Compared to the dozen or so in the first movie, there are about forty in the second, and very few have any development or interesting character traits. Those that do get more screentime tend to be lazily-written and based on human racial stereotypes and caricatures which are inappropriate and moronic. Still, from the carnage Jetfire emerges as a more interesting character that not enough is done with, whilst Optimus Prime and Bumblebee develop well over their roles in the first movie. Indeed, Peter Cullen's dignified voice performance does seem to have come in from a completely different and considerably better film altogether. The Decepticons are mostly lacking in any kind of development whatsoever with the Fallen being a colossal disappointment and Devastator being a let-down after an impressive first appearance. The film's lack of memorable villains is a key problem (though hardly the greatest in the picture). What really damages the film beyond all possible repair, however, is its severe pacing problem. The climactic battle sequence in the Egyptian desert (written by someone who's never looked at a map of the Middle East, but let's not go there) goes on for far too long, eating away at screentime that could have been better-used earlier in the movie to flesh out more interesting concepts and ideas, or simply could have been removed: two and a half hours is probably way too long for a brainless popcorn action movie in the first place. Transformers: Revenge of the Fallen (*) is a spectacular failure of a movie, being incoherent, badly-paced, badly-acted and ill-conceived. The special effects are genuinely impressive and there are glimpses of concepts that could have made for a great film, but these are left underdeveloped in favour of atrocious attempts at comedy or pathos. It's certainly not the worst movie of all time, as some have labelled it, and it's almost worth watching as a masterclass in how not to make a big-budget action film. A tremendous let-down considering some promising ideas and also the inoffensively entertaining first movie in the franchise. 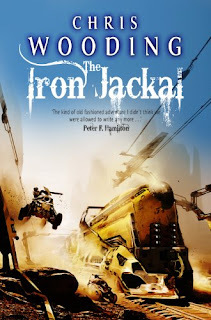 The Iron Jackal is the third book in the Tales of the Ketty Jay series, following on from the excellent Retribution Falls and The Black Lung Captain. 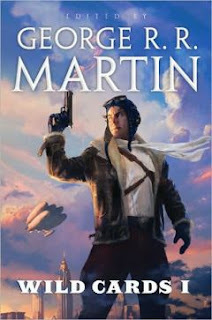 As before, the novel follows the crewmembers of the airship Ketty Jay as they get into various scrapes. Once again, Chris Wooding has delivered a tight narrative which mixes in humour, adventure, character development and worldbuilding in a near-perfect mix, but done it with even more flair and panache than the previous volumes. The book is built around an escalating series of adventures: after the initial train heist, the crew have to take part in a dangerous aircraft race through a maze of canyons, break into the Archduke's palace and finally cross a burning desert to find an ancient city. The pace is fast and relentless, but Wooding finds time to give every character a moment to shine as each one faces his or her own challenges (internal or external). This also extends to some newcomers (the Ketty Jay acquires a new crewmember in this novel) and recurring characters as well. Frey himself ends up as the best-developed character in the book and manages to gain the reader's sympathy as his plight worsens with every passing chapter. Wooding introduces a sense of weirdness and horror to the series that wasn't as prevalent in previous volumes. The Iron Jackal itself is a sinister, threatening creation, and the showdown in an ancient city is appropriately nightmarish (though a titanic enemy introduced in the last few pages feels a little unnecessary). There are also intriguing hints about the distant past of the world that could fuel discussion on internet message boards for a while. At the same time, Wooding lightens things up with an appropriate level of humour (Pinn's decision to become an inventor and his attempts to experiment on the ship's psychotic cat provides a rich seam of comedic moments) and expertly maintains a precarious balance between the darker and lighter elements of the novel. There's also the feeling of an expanding scope in this novel. A third war between Vardia and Samarla seems to be brewing and there's a sense of greater geopolitical events going on in the background which the crew of the Ketty Jay occasionally brush against the fringes of. Wooding also seems to be laying pipe for future novels, with mentions of distant, newly-discovered landmasses where colonisation efforts by Vardia seem to be going wrong. Intriguing stuff, which adds elements of depth and richness to the world not present in earlier books (though there isn't a map, as Wooding wants to retain the freedom to change things or add in new locations for future novels). With near-perfect pacing, strong characterisation and an addictive mix of adventure, good humour and flashes of dark horror, The Iron Jackal (*****) will likely emerge as the most purely enjoyable, fun SFF novel of the year. Heavily recommended. The novel is available now in the UK and on import in the USA. Last night, Game of Thrones triumphed at the Spike TV Scream Awards. 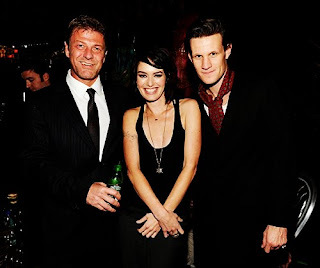 Ned Stark and Cersei Lannister meet the Eleventh Doctor. This is like the craziest - but also AWESOMEST - fanfic cross-show mash-up you can think of. The show won three awards, with Peter Dinklage picking up Best Supporting Actor for his performance as Tyrion Lannister. Emilia Clarke then picked up Breakthrough Female Performance for her role as Daenerys Targaryen. Finally, Game of Thrones itself won in the Best Television Show category, beating The Walking Dead, True Blood and Doctor Who (though, as the above image attests, Matt Smith didn't hold any grudges). Well done to the cast and crew of Game of Thrones for their victory! 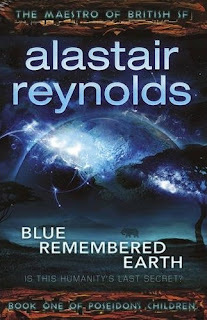 Here's the cover art for Blue Remembered Earth, the first book in the Poseidon's Children sequence by Alastair Reynolds. This new sequence will comprise three novels set at different points over 11,000 years of future history. The first novel focuses on an industrialised Africa as humanity settles the rest of the Solar system. The novel is due out in the UK on 19 January 2012 and in the USA on 5 June 2012. Erevis Cale and his allies have survived a confrontation with the slaadi servants of the enigmatic Sojourner, but now find themselves lost on the Plane of Shadow with no way home. Meanwhile, Azriim and his fellows seek to execute the next part of the Sojourner's plans and head for Skullport, one of the darkest and most dangerous cities in the Realms. 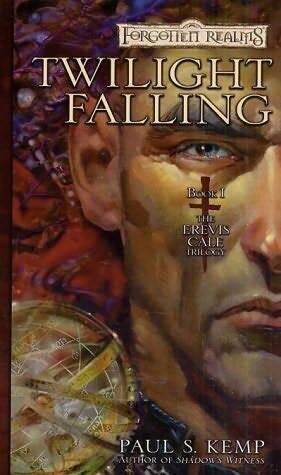 The second volume of the Erevis Cale trilogy picks up immediately after the first book and once again pits Cale and his band of willing and not-so-willing 'heroes' against Azriim and his fellow slaadi. The first novel, Twilight Falling, was entertaining but also suffered from clunky writing and some bad pacing. 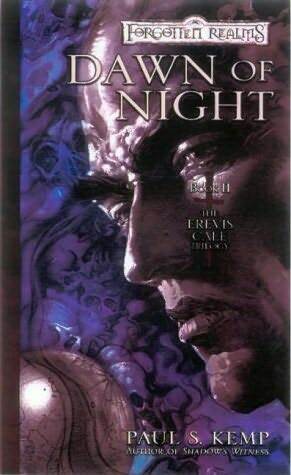 Dawn of Night is a notable improvement, with a more notable focus on the battle of wills between Cale and his sometimes-ally Riven to prove themselves the better man. The prose is more polished (though still prone to odd lapses) and there's also a satisfying amount of weirdness invoked when Cale and his friends find themselves lost on the Plane of Shadow. Skullport - one of the most vividly memorable locations in the Forgotten Realms setting - is also brought to life in all its squalid, grubby splendour. As well as the Cale/Riven rivalry, the book also brings into play several other interesting devices. The duality of having two 'adventuring bands' diametrically opposed to one another is an interesting touch, and Kemp imbues each character with their own quirks and motivations that fleshes them out nicely. 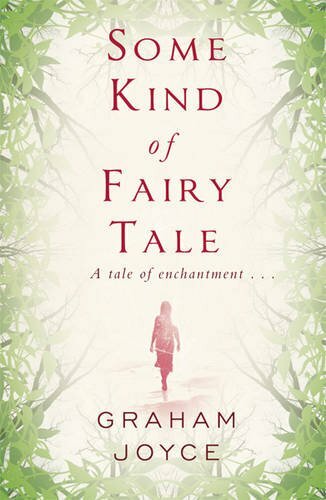 It's not the deep-seated characterisation of modern masters of fantasy, but it's enough to make the book more interesting than the average tie-in novel. Kemp also takes an interesting approach to magic, which is so codified by rules and structures (since it is based on the D&D magic system) that it's use has become routine and even perfunctory. This depiction may be slightly dull - the wonder of someone unleashing a powerful magical spell in another book is here totally missing - but it also makes sense in a world where the use of magic has become routine over the course of thousands of years. On the minus side, the book suffers somewhat from middle book syndrome (there is no beginning or end, which is to be expected) and there are moments when the setting's game origins are again laid bare, such as being able to tell when the characters have succeeded at making a saving roll against a spell. These are much less frequent than the first novel but still a little wince-inducing when they happen. Overall, Dawn of Night (***½) represents a notable improvement over the first book in the series. It's still, at heart, an adventurous romp with an unusually conflicted band of heroes as its sole major twist (which is less of a twist now than when the book originally came out), but remains an entertaining read. The novel is available now in the UK and USA and as part of the Erevis Cale Omnibus (UK, USA). THE COLD COMMANDS is out! 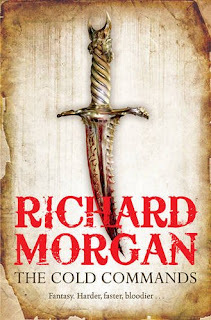 Richard Morgan's The Cold Commands, the excellent second volume in the Land Fit For Heroes trilogy, was published two days ago in the UK and USA. Review here. 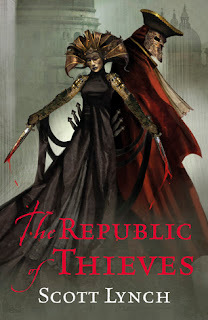 "We know how eagerly many of you are waiting for the publication of Scott Lynch’s third novel, The Republic of Thieves. We know how frustrating the delays have been. We know this because we share your eagerness and your frustrations. 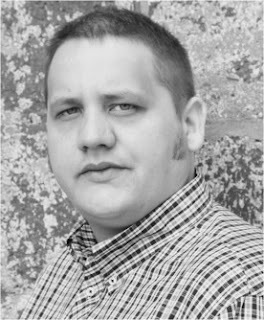 But as you may know Scott has had a very difficult couple of years and consequently the novel has been delayed. Several times. If you knew the circumstances for these delays I’m sure you’d understand why we have had to wait for the book. We’re now waiting for final delivery of the manuscript and are hoping to publish the book in March of 2012. The moment we have final delivery we will confirm a publication date. No-one is more eager to see this book published than Scott or myself. The delays have been forced on us. The moment we can put those behind us we will let you know and then we can all start counting the days to publication. Locke Lamora will return. The 3rd Edition of the mighty Encyclopedia of Science Fiction has gone live. The previous two editions of the encyclopedia were massive print books large enough to demolish buildings, but the third edition is twice the size of either and hence will only (so far) be available on the Internet. This is the so-called 'beta release', consisting of roughly 75% of the text of the full book. The remainder of the text will be released over the next year or so, with regular updates appearing afterwards. Some more relatively minor casting news from the second season of Game of Thrones. Steven Cole is a British model and actor, best-known for a long-running stint on the soap opera Brookside, where he played the role of Leo Johnson for five years. Cole revealed his participation in Game of Thrones via Twitter, later confirming that he was playing the role of Kovarro, a new Dothraki character not in the books. Since the roles of Jhogo and Rakharo were combined as one character in the first season (Rakharo, played by Elyes Gabel), fans have speculated that Kovarro might have been introduced to give more variety to Dany's entourage. Other fans, noting that Elyes Gabel is filming the movie version of World War Z, have suggested that he may be replacing Rakharo altogether. Simon Fisher-Becker is an established British actor, best-known recently for the recurring role of Dorium Maldovar on Doctor Who (aka 'that blue guy'). Fisher-Becker is playing the role of the High Septon, the head of the Faith of the Seven who lives in the Great Sept of Baelor in King's Landing. 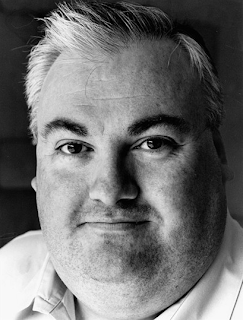 Tony Way is a (British) comedian and actor, best-known for a string of comedic performances in series such as Black Books and Spaced. He has recently moved into more serious roles, starting with Finding Neverland and a role on the American remake of The Girl With the Dragon Tattoo which he filmed recently. On Thrones he is playing the role of Ser Dontos Hollard, a knight serving in King's Landing who befriends the captive Sansa Stark. Nicholas Blane is a British actor who has had recurring roles on TV series such as Coronation Street, Little Dorrit and Trial & Retribution, as well as appearing in the movies The Illusionist and Harry Potter and the Order of the Phoenix. On Thrones he is playing a new role, that of the Spice King, who makes the acquaintance of Daenerys Targaryen. It is assumed that the Spice King is the leader of the Ancient Guild of Spicers in Qarth, an influential faction in the city whose patronage and support Daenerys seeks (notably off-page) in A Clash of Kings. This casting news suggests that the Qarth storyline in the TV series is being beefed up from the novel, which is unsurprising since if the series followed Dany's story as in the book Emilia Clarke would only be in about four episodes. Most recent casting news has focused on minor roles. We are still waiting to hear about characters such as Ygritte, Qhorin Halfhand, Ramsay Bolton and the Reed siblings (or indeed if they are even still in the series). I reported a few weeks ago that HarperCollins Voyager are releasing new limited edition hardcovers of A Song of Ice and Fire. This has now been followed by the announcement that they are also releasing new, mass-market hardcover editions of the first four books of the series. This is an unusual move. 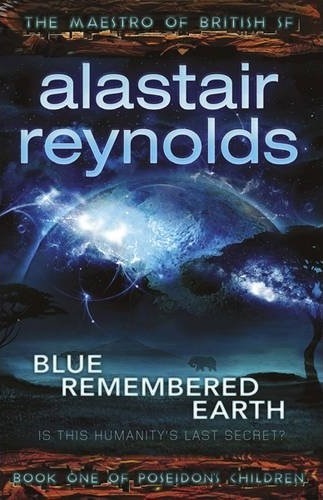 In the UK, it is standard practice for the hardcover editions of novels to be withdrawn from sale upon the release of the mass-market paperback. This drives sales of the hardcovers (since British customers know they only have 6-12 months to grab it before it vanishes, probably forever). This is in contrast to the USA, where the hardcover can often remain in print alongside the paperback for many years, or indeed permanently. In the UK only mega-selling books and series get hardcover reprints, such as Tolkien, J.K. Rowling and Dan Brown. 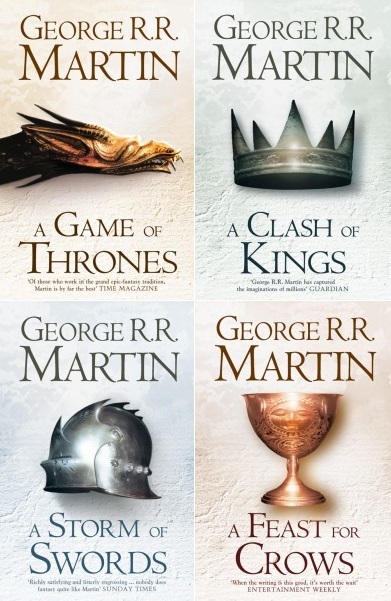 This news means that A Game of Thrones, A Clash of Kings, A Storm of Swords and A Feast for Crows are getting their first UK popular hardcover reprints since publication. The new cover art uses the marble-white/cream colour design of the Dance with Dragons hardcover, combined with the heraldic designs from the existing paperback editions. In addition, A Storm of Swords has been recombined into one novel (it is currently two volumes in paperback). The first two books will be on shelves on 11 November 2011, whilst the latter two hit the shelves on 5 December. There is no word on if the hardcovers will continue the practice from the recent B-sized paperback reprints of using confusing and sometimes inappropriate maps (Game of Thrones having the totally superfluous map of Slaver's Bay from Storm of Swords in it, for example). Hopefully they'll straighten this out and use more appropriate images in the hardcovers. In additional news, The World of Ice and Fire companion book (currently hoped to be released in late 2012) still does not have a UK publisher. Considering the immense success of the novels in the UK following the arrival of the HBO series and A Dance with Dragons, it is surprising that Voyager have not signed up the book yet. However, there will be another companion book related to the TV show published next year. The publisher for that has not yet been confirmed. 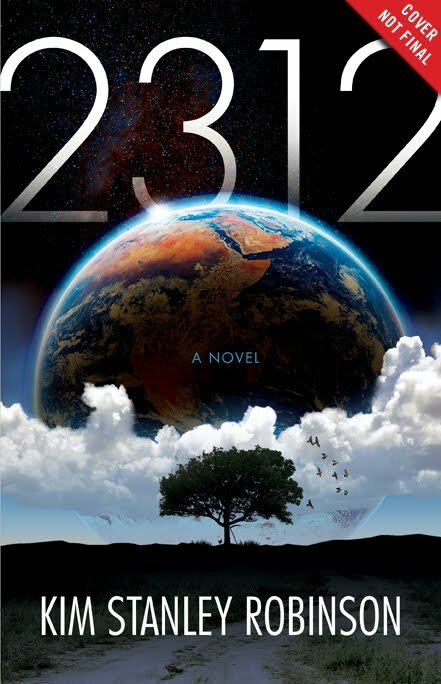 2312 is Kim Stanley Robinson's next novel, a big epic set in and throughout the Solar system in the titular year. Sadly, the original plan to release the novel on 2 March (2/3/12 in the UK dating system) seems to have fallen through, with the novel currently scheduled for May instead. Orbit will be publishing in the UK with the suitably epic cover seen above. 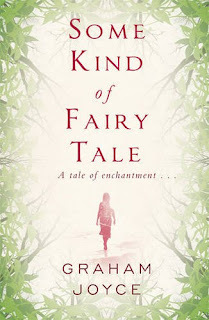 Graham Joyce's new novel, Some Kind of Fairy Tale, is apparently a fresh take on the English 'woodland fantasy' subgenre (well-exemplified by Robert Holdstock's definitive Mythago Wood and Paul Kearney's A Different Kingdom) and will be published by Gollancz in the UK on 15 March with some nicely-understated cover art. Gollancz are also issuing fresh, YA editions of Chris Wooding's Tales of the Ketty Jay sequence through their new Indigo line. 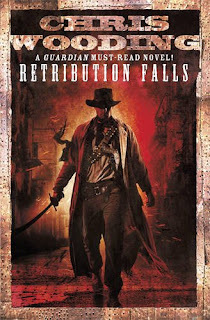 The new Retribution Falls will be out on 5 January and will be followed by The Black Lung Captain later in the year. 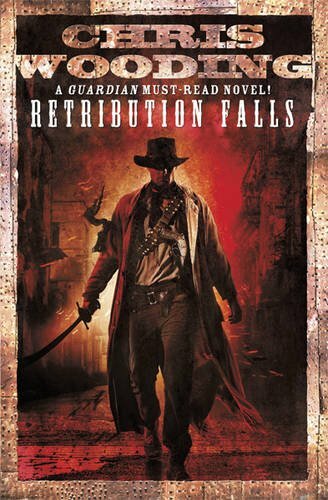 The new cover is striking and brings home the Western influence in the series, but I must admit at disappointment with the lack of airship action on this edition. It's been about a decade since I last dipped into the world of Forgotten Realms fiction (in novels, anyway). I'd read many books in the setting during my teenage years and in my experience the good writers and books (Troy Denning, James Lowder, early R.A. Salvatore etc) were massively outnumbered by the bad ones, to the point where I decided to give up on the novel line shortly after the launch of the 3rd Edition of the setting, though I continued to run D&D games in the Realms for many years. Over the last few years I've heard enough good things about Paul Kemp's work in the setting to finally convince me to return to the Realms and give his work a go. Twilight Falling is a standard D&D novel with a twist. There's some villainy afoot which may threaten the Realms and some heroes have to set out to defeat it. The twist is that our heroes are distinctly morally dubious: both Cale and Riven are murderers and assassins in the service of one of the Realms' dark gods. Cale is aware of his moral conflict and strives to live a good life, using his friend Jak as his moral compass, but at the same time is prepared to use the divine powers Mask grants him as a priest to further his own ends. 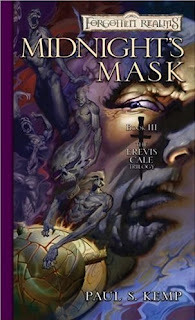 This is helped by the fact that many of the enemies Cale faces are truly evil or in the service to the few gods in the Realms more heinous than Mask, but this also helps further the possible corruption of Cale: will there come a point when his service to Mask leads him into conflict with someone who can't be dismissed as 'even worse'? Hopefully, though it doesn't happen in this book. Outside of this moral maze, the book proceeds straightforwardly, with the POV alternating between that of Cale's band and that of the enemy, a bunch of evil adventurers out to acquire a powerful magical artifact. This POV system is entertaining, as we see the two sides trying to outwit one another, and breathes life into a standard maguffin-hunt storyline. The writing, for the most part, is okay. Some of the cover blurbs for the book hyperbolically claim that Kemp is batting at the same level as Gaiman, Martin and Pratchett, which is not the case (or rather not yet; Twilight Falling is only Kemp's second novel and he has since penned eight others). Rather, his writing gets across the story and characters effectively. Occasionally he summons up some interesting imagery, but there are also some clunkers: a reference to 'programming' a spell jars badly with the setting, for example. 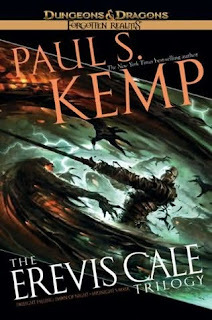 Kemp also falls into the painful trap of putting roleplaying elements into a novel, with clunky attempts to rationalise game rules in a fictional narrative that don't work and in some cases are inconsistent: Mask's priests are apparently unable to convert spells into healing magic, but no reason is given for this, whilst elsewhere Cale and his friends undertake several days of hazardous journeying when they could have purchased teleportation magic considerably more easily. There are also moments when Kemp's knowledge of the Realms as a setting seems flawed: several locations are stated to be on the coast of the Dragonmere when they are in fact several hundred miles away. Since the writing flows well and is inoffensive elsewhere, these moments when the story falters are rather unfortunate. Twilight Falling (***) is an effectively-written adventure story with some nicely conflicted characters. The writing hints at more interesting depths and the book is good enough to make the reader want to come back for the sequel (this book ends on a huge cliffhanger). However, there is much room for improvement. The novel is available now in the UK and USA, or as part of the Erevis Cale Omnibus (UK, USA).